If you've been struggling to get your hands on Legendary gear then you'll be pleased to know that the new Queens Wrath event offers the reward of a guaranteed Legendary armour piece or weapon. In this tutorial I'll explain exactly how to start a Reef Bounty and unlock the Kill Order mission. The Queens Wrath event runs from the 23rd of September to the 6th of October, and includes new Reef Bounties, a new Vendor and unlockable Kill Order missions. 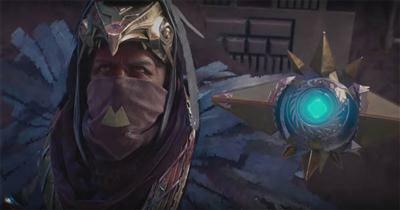 The Reef Bounties may unlock in later events but so far the Queens Wrath is the first of its kind. Next up, Reef Bounties. 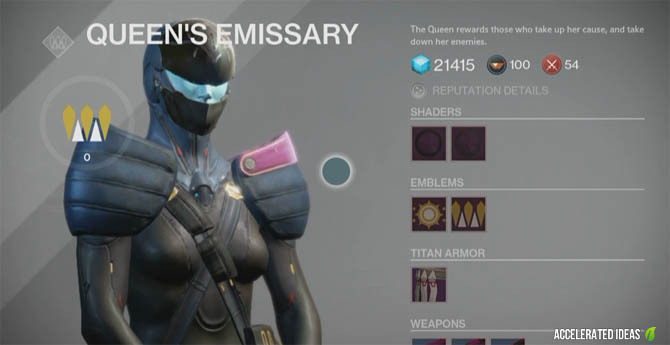 These are new Purple bounties that you'll find when you visit the Bounty Tracker at the Tower. They are very similar to your regular Vanguard and Crucible Bounties in that you need to kill X number of enemies, complete a mission, get X number of kills etc.. Completing a Reef Bounty will reward you with Queen Reputation which you can use to buy unique Legendary gear from the Queen Vendor, and also buy some rare weapons. You don't need any marks, only reputation points. Ok, enough of the explaining, here's how you can get a piece of Legendary gear without farming engrams, caves or looting chests. 100% guaranteed!! 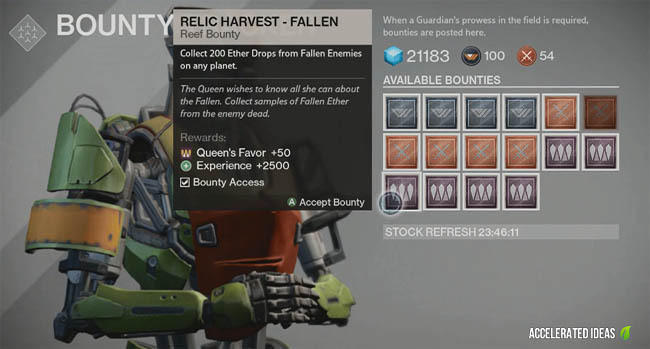 First of all go over to the Bounty Tracker at the Tower and pick any of the Purple Reef Bounties. Choose something very easy like kill X number of enemies. Go out and complete the Bounty as you normally would. Upon completion you'll see the little icons on the right explaining that you've completed the Bounty. There will also be a secondary purple icon that appears with a gold crown. Now go to the Tower to collect your reward from the Bounty Tracker. Simply hand in the Bounty for the XP and Reputation and you'll automatically unlock the Kill Order mission on the Orbit screen. Go to Orbit so you can see the daily Heroic mission and weekly Strike. Above the icons should be a new icon which looks like a crown, this is the new Queens Kill Order which is a Level 24 mission with a guaranteed reward of a Legendary armour piece or weapon. Simply click the Icon and you'll be taken to the new mission, which is completely random and very hard to complete solo. You won't know what mission you are playing until your ship arrives and you're at the spawn point of the mission. Don't expect to see any missions on Earth or the Moon. I've only seen Mars and Venus so far. Once you've successfully completed the mission you'll see your new Legendary armour piece or weapon in the rewards section. The mission you play is completely random and changes every time you start the mission. So if you don't like a particular mission just exit back to Orbit and start the Kill Order again. You'll find that the mission is different the next time you play. Race through the mission on your speeder bike and avoid any of the early areas which don't require you to hold a particular position or kill a boss. This will save you a hell of a lot of time and avoid you having to kill as many enemies. Replay the kill orders to earn more Legendary gear but try and avoid the same mission otherwise you could end up with the same Legendary piece as before.